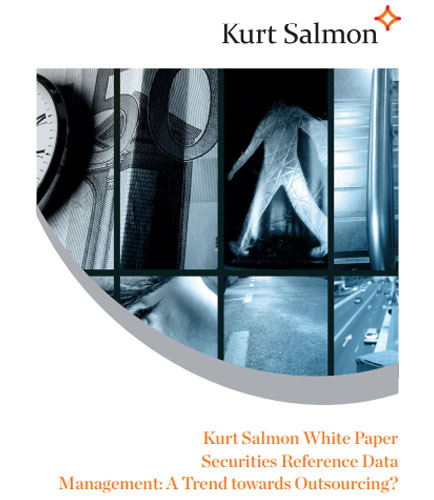 "Reference Data Management in Financial Services Industry"
Securities reference data management is evolving from a necessary and often ignored cost to support operations to a central and vital role within the organization. Reference data management (RDM) is an increasingly important process in financial institutions. Securities reference data management is considered to be highly critical for the business of custodians. Read this whitepaper to know the best practices for achieving your securities reference data management project is not to go for a revolution, but to evolve to the final model in a step by step approach. Can securities reference data management be outsourced?